Snake Removal | Snakes in Home | Westchester, NY. QualityPro understands that a snake in the home is an emergency that cannot wait till the next business day. This is why emergency Snake Removal Service in Westchester, Bronx, Rockland, Putnam and Greenwich CT is available. Snake removal can be dangerous and should only be done by a trained professional. Snake removal & snake control experts in Westchester, Bronx, Rockland, Putnam and Greenwich CT provides services to such complaints as I have a snake in my house. Nuisance wildlife removal operators are experts in snake removal and snake control throughout all of New York. A common reaction to a snake regardless whether it be in your home or on your property is to kill it whether or not it poses a risk or not. However, the fact is that most snakes in the local area are harmless and even the dangerous ones would rather flee than fight. Once we begin to learn about snakes, we can replace our fears and misconceptions with facts. Once understood we can then appreciate the important role snakes have on the Westchester County. You should never attempt to kill a snake this could lead to a dangerous snake bite. Q: How do I get Rid of Snakes in my New York home? (A) The key to getting rid of snakes from your home is sealing up all the entry points and eliminating the major food sources including but not limited to mice, spiders, crickets and other insects that inhabit your home, this should be done by a professional as you never want to seal a snake up inside your home. 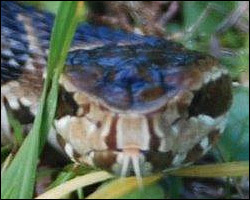 Snakes are a very common call in the Westchester, Rockland, Bronx, Putnam Counties and Greenwich, CT areas of New York. Most snakes that enter homes and garages are looking for a food source. If you have a snake in your garage or home you should contact a professional snake removal company to make recommendations to solve the problem completely. An important fact to remember simply removing the snake DOES NOT SOLVE THE PROBLEM! The snake’s food source must be removed. Find more information on Snake Facts.